I have been following and admiring Modbook for many years(even before I purchased my first Mac. I always wanted a Modbook, however for me it was a bit out of reach. Modbook is what I imagine Apple would make if they made a OSX Tablet, or at least what Apple should at for inspiration. Modbook have taken one of the best laptops on the market and transformed them into even more amazing machines! Since this is a MacBook mod you can install windows with Bootcamp and then you will have the strongest Mac & Windows tablet on the market! If you decide to back them, please leave a comment on their campaigns comment page that you found their project through IamABacker.com , Thank you. Unleash your creativity with the most innovative and powerful pen tablet ever, the Mac-based 15.4-inch Retina display Modbook Pro X.
There’s never been a tablet quite like the Modbook Pro X. Designed from the ground up for power and speed, with a large and bright high-resolution display and a highly sensitive pen tablet interface, the Modbook Pro X takes tablet computing to another level. The Modbook Pro X sports a 15.4-inch (diagonal) Apple Retina display with a 2,880 x 1,800 pixel resolution at 220 pixels per inch. Its digitizer pen offers 2,048 pressure levels, pen tilt and rotate functionality, programmable dual side-switches, a digital eraser and replacement nib set. The Modbook Pro X is configurable with up to a 2.8GHz quad-core Intel Core i7 processor, integrated Intel Iris Pro Graphics with an optional NVIDIA GeForce GT 750M GPU, and up to 32GB of 1600MHz random-access memory. Result: all the speed and power you need to create and refine even complex renderings, videos and documents with ease. At less than three-quarters of an inch thick and weighing just under five pounds, the Modbook Pro X is relatively thin and light for its size — a portable solution that you can use wherever you go, as a pen tablet or (with the accompanying Keyboard Stand) as a notebook. Yes, the Modbook Pro X is a genuine Apple Mac-based system running the latest version of the Mac operating system, OS X. How is that possible? It works like this: an original Apple MacBook Pro base system is disassembled and then reassembled with our enclosure conversion kit, transforming a 15.4-inch Retina-display MacBook Pro notebook-style computer into a 15.4-inch pen tablet-style Modbook Pro X. The Modbook Pro X, like its predecessors, strives to be a respectful citizen in the Mac OS X ecosystem. Our hardware modifications are designed to preserve native functionality so as not to interfere with the base system's normal operations. Our experienced Mac developers create the software and hardware for the Modbook Pro X in tight adherence to all applicable Apple Mac Developer guidelines and Apple design guidelines for accessories and peripherals. Think about it this way: the Modbook Pro X takes fully standards-compliant tablet hardware and a Retina-display MacBook Pro and merges them together. Your MacBook Pro functionality is preserved and new Modbook Pro X features are seamlessly integrated with it. Pen, screen rotation, tablet input, every hardware and software feature — all work Mac-style right out of the box, with any application. You can use your Modbook Pro X just like you would your MacBook Pro, editing and saving files, adding applications and updating the system from the Mac App Store, and even running Windows via Apple’s Boot Camp utility. The Modbook Pro X is the ultimate content creation powerhouse, designed to be both highly portable and easy to use on your desk. Artists, animators, designers and creative professionals can shed their bulky Cintiqs and small, underpowered companion tablets in favor of the Modbook Pro X. Take it with you from your home setup to the office, to the coffee house, to the studio, or on a cross-country trip. Anywhere inspiration strikes, you’ll always have all the power you’ll need. General users will appreciate the versatility and flexibility the Modbook Pro X offers. You can draw, use high-quality handwriting recognition software to take notes, or use it on the Keyboard Stand like a regular notebook with no additional accessories required. It’s a mobile device. It’s a desktop system. It’s a tablet. It’s a notebook. It runs the OS X operating system but can also run Windows. Versatile, powerful, impactful — the Modbook Pro X is designed to be all you need to create, consume and present content wherever you go. With its screaming speed — powerful quad-core Intel i7 CPU, discrete dual graphics, blazingly fast internal PCIe flash drive, up to 32 GB RAM, two 20Gbit/sec Thunderbolt 2 ports, and an HDMI port capable of supporting a 4K display — the Modbook Pro X can not only replace your laptop, but some of the most powerful desktop systems on the market. The Disk Speed Test from Blackmagic uses long sustained transfers of blocks of data to accurately mimic the capturing or playing of video and give a real-world indication of the performance of digital storage systems. The results blow away almost any comparable solution. The reason the Modbook Pro X can read and write data nearly twice as fast as the fastest available SSD solutions lies in the unique design of its internal flash-based storage drive. It connects to the motherboard through a PCI Express 2.0 link with four lanes, allowing up to a 2GB/second interface data transfer rate. Currently, flash-memory components limit the transfer speed to a still-blazing 1GB/sec (as shown in the speed test on our prototype above). However, as faster flash-memory becomes available we expect to offer it on the Modbook Pro X, as well as upgrades to existing Modbook Pro X users. But it doesn't stop there. The Modbook Pro X allows you to use up to three displays at the same time. Connecting an external 30-inch (2,560 x 1,600) display and a 4K (4,096 x 2,160) display, combined with the built-in Retina display (2,880 x 1,800), gives you a whopping 18.1 million pixels across all screens. The optional Keyboard Stand gives users a powerful tool when using their Modbook Pro X as a tablet, a notebook or both. A built-in industrial-strength hinge firmly holds the Modbook Pro X at angles between 30° and 90°, providing sturdy support when using the pen on the tablet at your most comfortable angle. An integrated full-size illuminated keyboard with instant Bluetooth connectivity provides users with an easy way to enter text and keyboard shortcuts, or to use their Modbook Pro X as a notebook just like a regular MacBook Pro. Stored together with the Modbook Pro X in the Dual-Pocket Sleeve (sold separately), the stand’s aluminum structure serves as the perfect screen protector. The Modbook Pro X optionally includes the innovative rear Keybars, an eyes-free solution for quickly entering commands and shortcuts into the device with one hand. no tricky touch interface, palm-rejection hassles or either/or scenario between touch and pen – press (mouse) modifier keys while using the pen! fully programmable — assign the keys with the commands you use the most! Expansive drawing surface with generous bezel area, flush-mounted ForceGlass screen with paper-emulating texture, and crisp, clear 15.4-inch Retina display at a resolution of 2,880 by 1,800 pixels enables users to create pro-quality creative deliverables. Unique enclosure supports MacBook Pro Retina-display base systems (Late 2013, Mid 2014, or newer) with up to a 2.8GHz quad-core Intel Core i7 processor, which means:power, and lots of it! Blazing speed when drawing, saving and rendering with up to 32GB of RAM, Intel Iris Pro GPU with optional additional NVIDIA GeForce GT 750M GPU, and a four-lane PCIe connection with transfer speeds up to 2GB per second to the internal flash storage for breakneck read/write performance. Up to 2TB of modular PCIe-based internal flash storage, providing abundant storage space for all your projects. Ample connectivity options, including Bluetooth, Wi-Fi, two USB 3 ports, one SDXC slot, one HDMI port and two Thunderbolt 2 ports. Highly sensitive pen input, with 2,048 pen pressure levels as well as pen tilt and rotate functionality, along with a digitizer pen that has programmable dual side-switches, a digital eraser and replacement nib set. Users get full integration into the Apple OS X ecosystem (including updates via the Mac App Store) while running OS X 10.10 Yosemite, just like a regular MacBook Pro, and also get the QuickClicks on-screen software keyboard, QuickFlip (enables rotating between portrait and landscape mode), and the flexibility to run both OS X and Windows, with the whole range of productivity and creative applications — including high-quality MyScript handwriting recognition — fully supported on both platforms. Complete one-year warranty for the entire device, including its MacBook Pro components, and dedicated service and support. Great downstream usability as a standard notebook computer for general users compared to other tablets and tablet displays (Cintiq). Our company’s mission is to develop products that unleash the creative potential in everyone. We’re passionate about technology that expands creative possibilities for users, and we thrive on taking unique concepts that no one else is likely to tackle and bringing them to life. This August marks the tenth anniversary since CEO and lead engineer Andreas Haas began development on the first Mac-based tablet for the creative community. Andreas is an Apple veteran whose management experience included Apple’s Professional Desktop & Server Systems, its Portable Product Lines and the Newton Systems Group. Supported by an eclectic group of advisors, including several other Apple alumni, members of our dedicated team worked on the original award-winning Modbook and also oversaw the successful launch of the Modbook Pro. Today, Modbook and Modbook Pro systems are helping users unleash their creative potential all over the world. Since 2012, Modbook Inc. offers the Modbook Pro and other technology products, including mobile storage solutions, directly to customers in over 70 countries through its online store at store.modbook.com. From the beginning, the Modbook product line has garnered enthusiastic responses in the media and among users for its utility, cleverness and quality, and we are confident that our latest installment, the Modbook Pro X, will again live up to these high standards. Over the last year, the team completed the design for a Retina display-based pen tablet computer that is both manufacturable and economically feasible. In the process, we created several prototypes and evaluation units (as seen and demonstrated in the videos, photos and performance benchmarks on this page) to test and verify the functions and features of the Modbook Pro X. 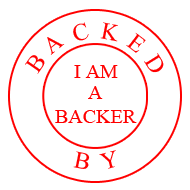 Following the successful completion of this Kickstarter campaign, we will begin building the first pre-production units. In this phase, we will complete and finalize all manufacturing documents for parts production, schedule production capacities, receive pre-production samples, and continuously refining components and production processes. Out of the pre-production stage, we will together with the input of the VIP Kickstarter Exclusive backers refine the first complete eight Modbook Pro X units, making any final adjustments to the product (such as deciding on the exact torsion strength of the Keyboard Stand’s friction hinge). We manufacture all of our components in the U.S. (many in southern California), so our pre-production efforts will lead seamlessly into our late fall production ramp-up. Furthermore, we will leverage the chain of suppliers and manufacturing partners we have in place for the current Modbook Pro, which puts us in the advantageous position of being able to easily slide the production of the Modbook Pro X into our existing manufacturing schedules. Having already used this process to launch two successful products, we are confident it will work smoothly for the Modbook Pro X. At Modbook HQ, we’re a typical company with a board of directors and all that good stuff, but our goal isn't to please people in suits around a boardroom table. We think differently. Our focus is on developing high-quality creative technologies that no one else will make. Kickstarter is a community that understands consumers are sometimes underserved by the mass market, so it embraces the audacious, the unique, the inventive. That’s why we knew all along the Modbook Pro X had to come to Kickstarter. We want our next product to be powered not by corporate strategy, but by the creative wizards who will use it and who get what we’re trying to do. The fact is, manufacturing high-end hardware is expensive. It requires a lot of upfront working capital to produce parts, to set up the manufacturing operation, and to offer appropriate service and support. That’s why we need your help. It’s your support that will bring the Modbook Pro X to life. Join us! Make your Kickstarter contribution today. Our combined strength can make the Modbook Pro X a reality.